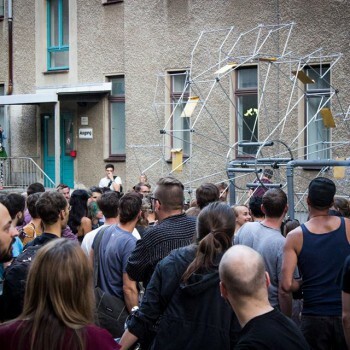 We proudly announce the registration phase and a few other details of the upcoming Art Spin Berlin tour on Saturday, July 14, 2018! 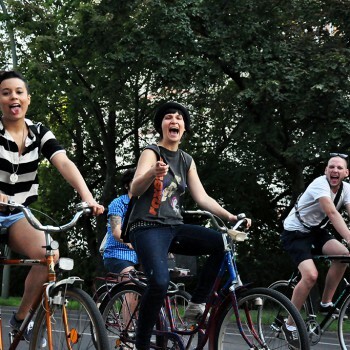 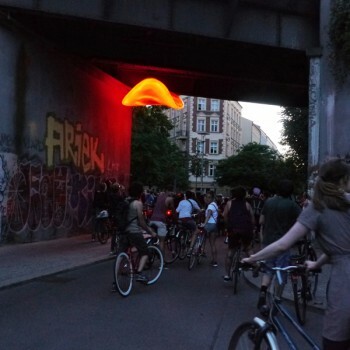 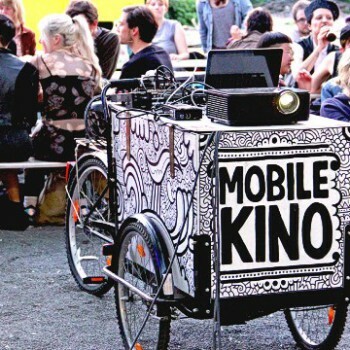 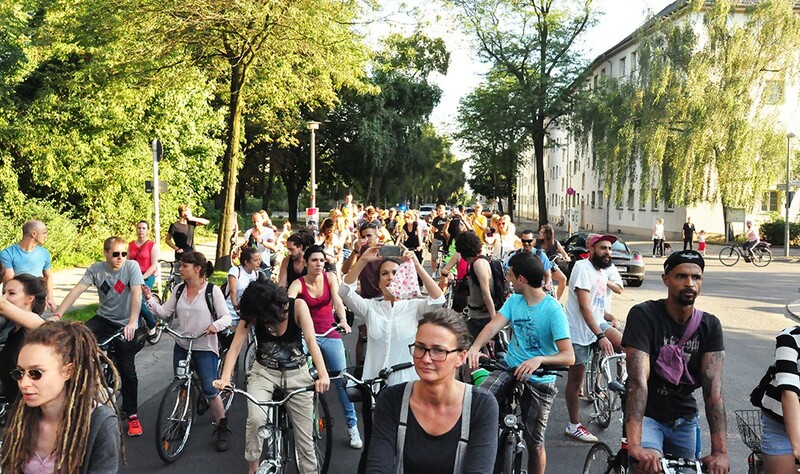 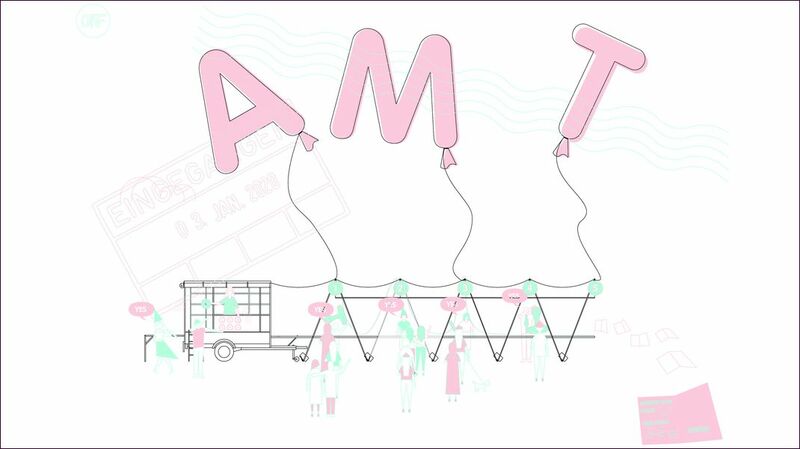 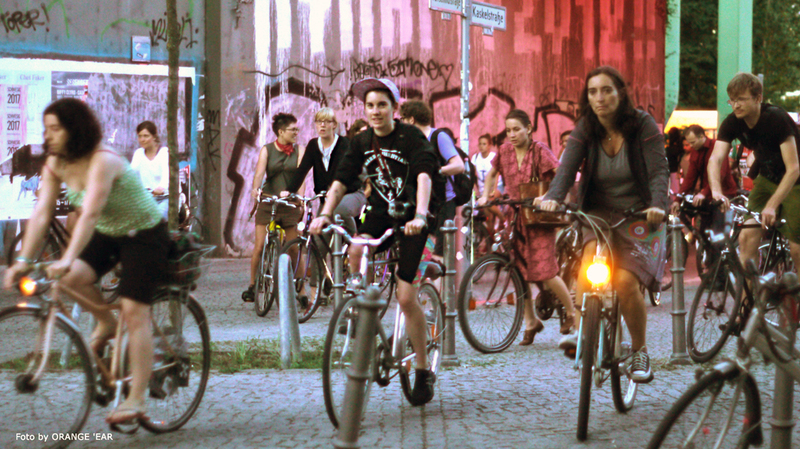 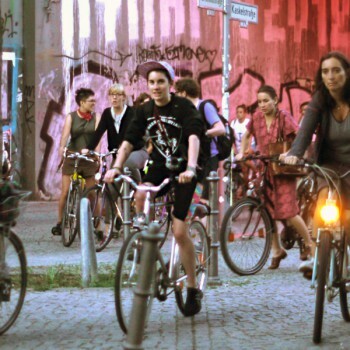 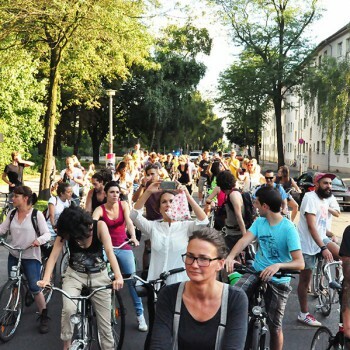 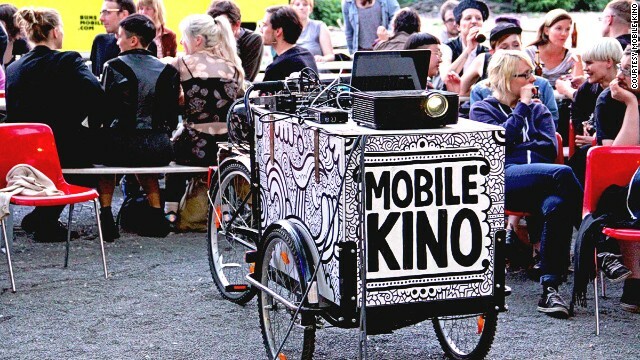 Join us as we cycle 11 km on a beautiful summer evening, experiencing 8 artistic projects at 6 locations throughout the neighborhoods of Alt-Pankow, Niederschönhausen, Heinersdorf and Weißensee. 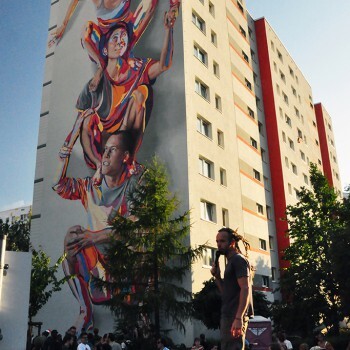 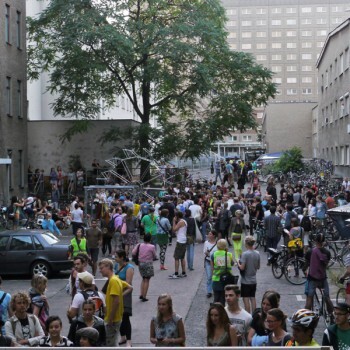 Get ready for Art Spin Berlin 2015! 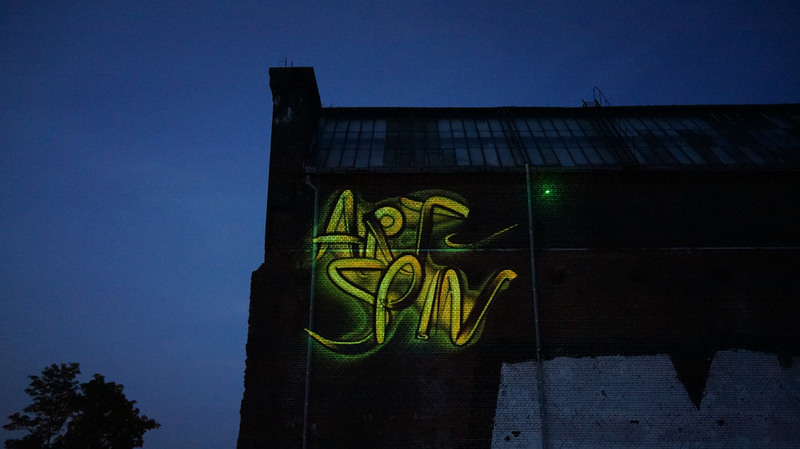 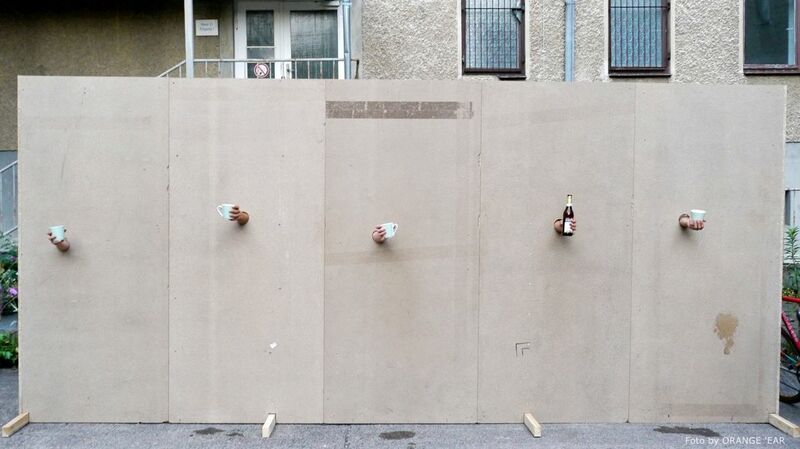 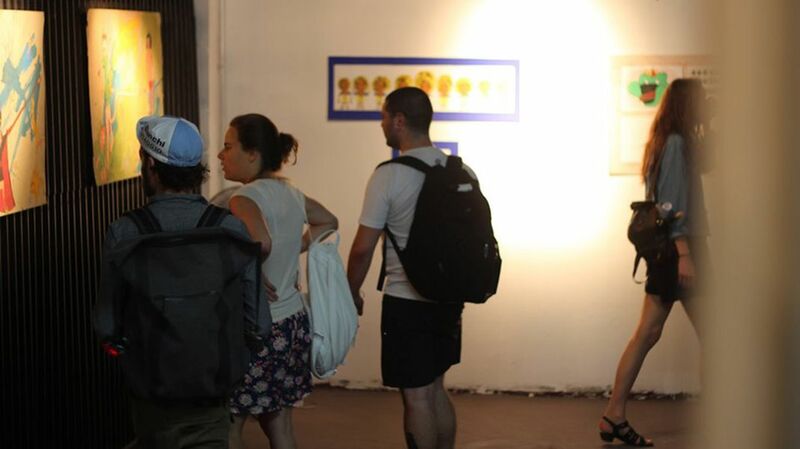 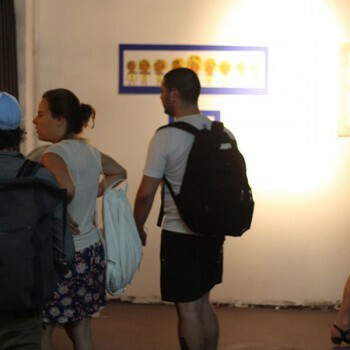 Check out our photo review of Art Spin Berlin 2014! 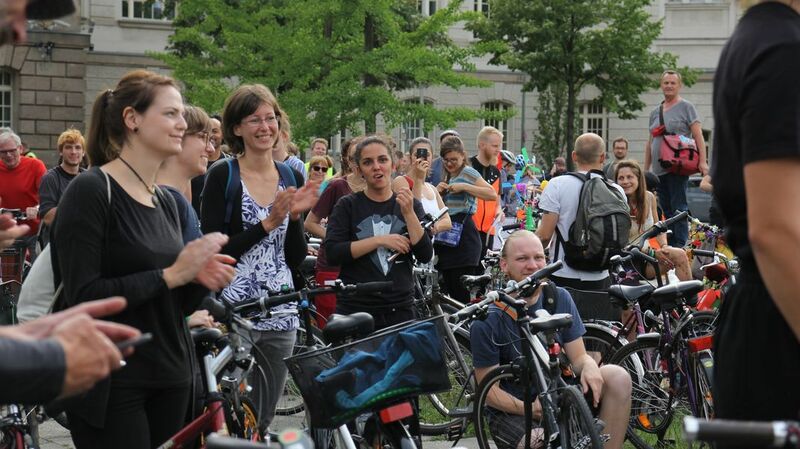 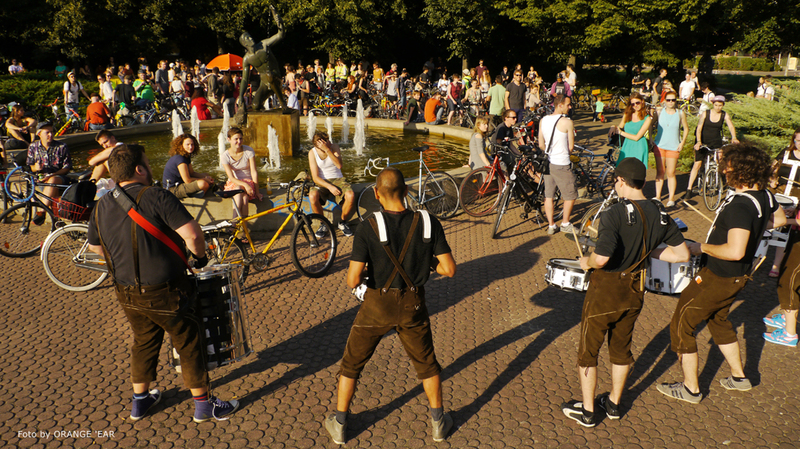 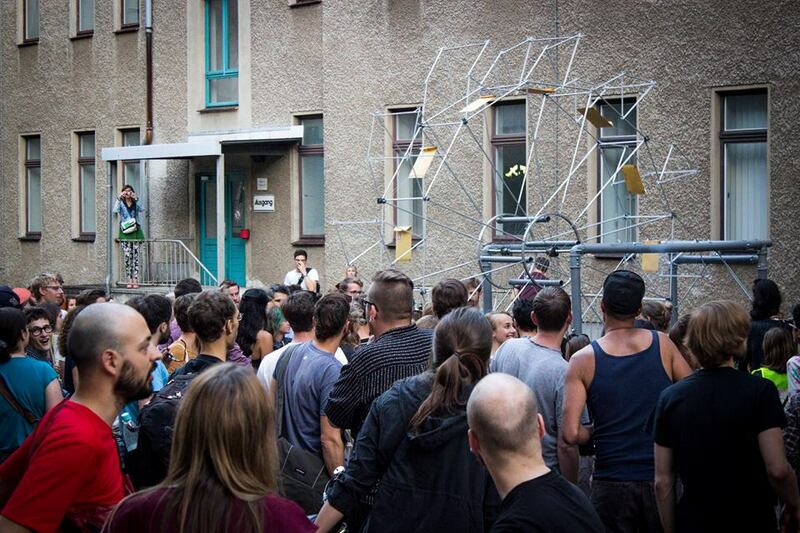 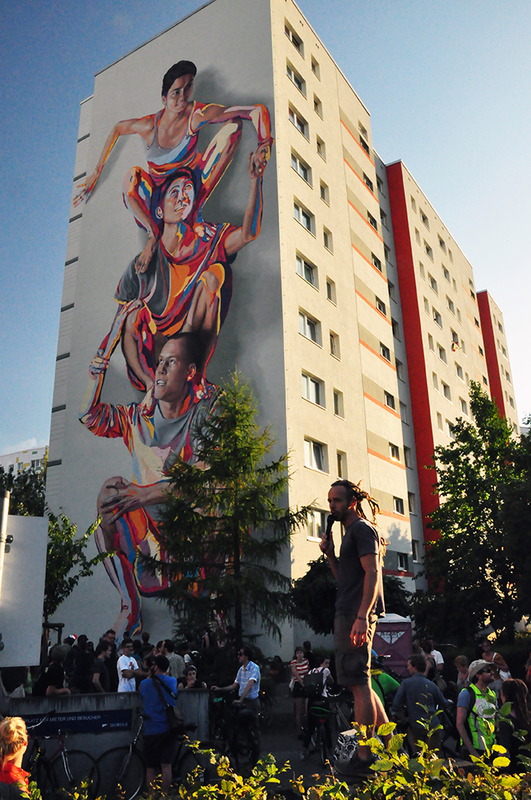 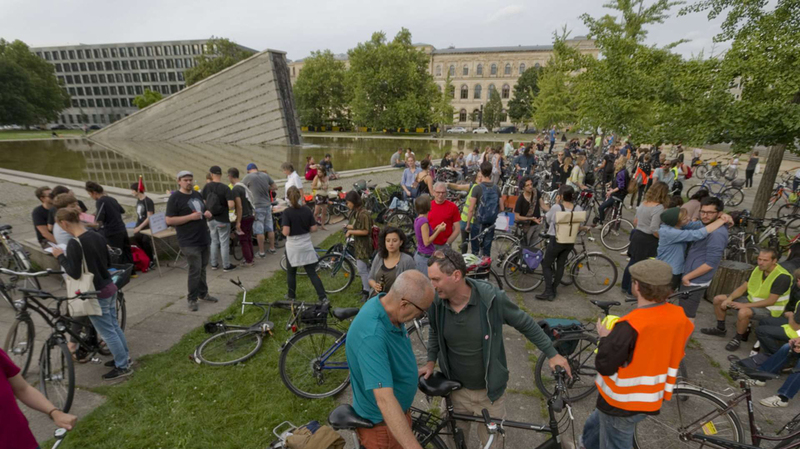 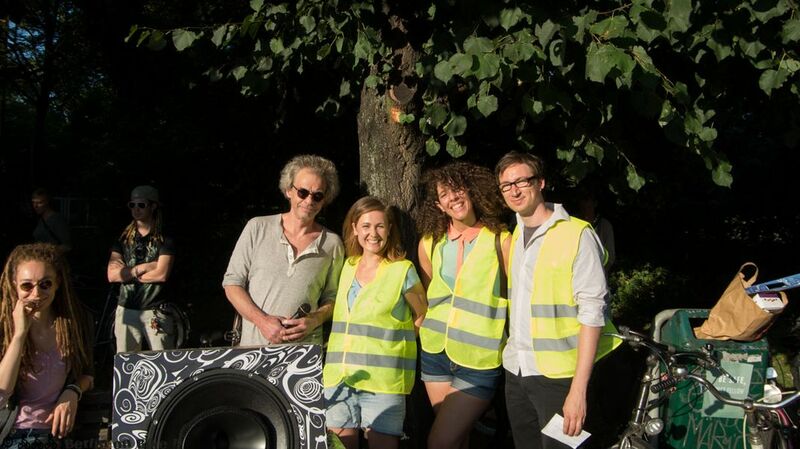 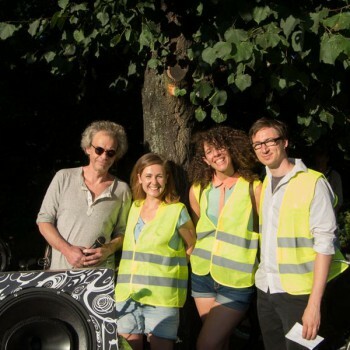 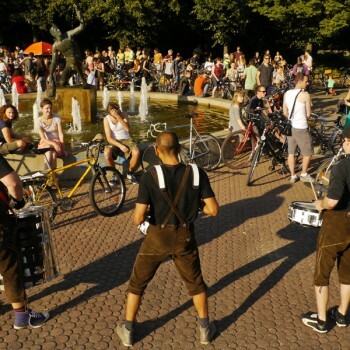 We had lots of fun with roughly 350 cyclists, a perfect summer day, good vibes and lots of artistic projects to check out along the roads of Lichtenberg. 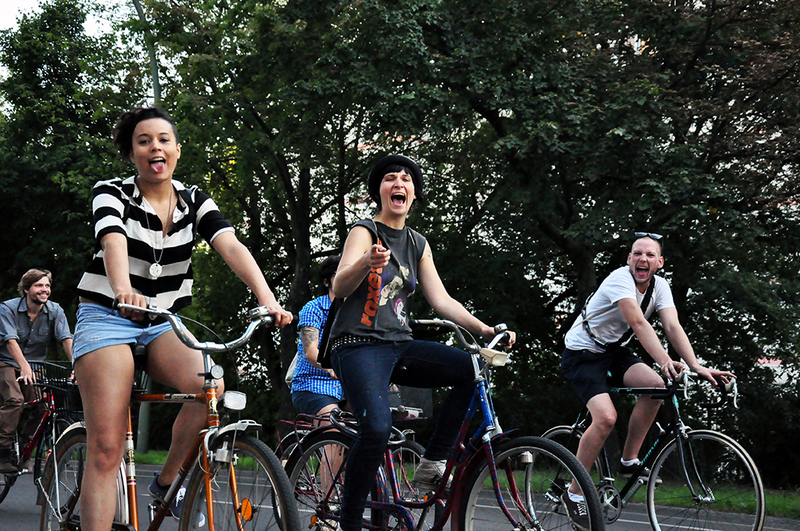 Take a look to warm up for 2015! 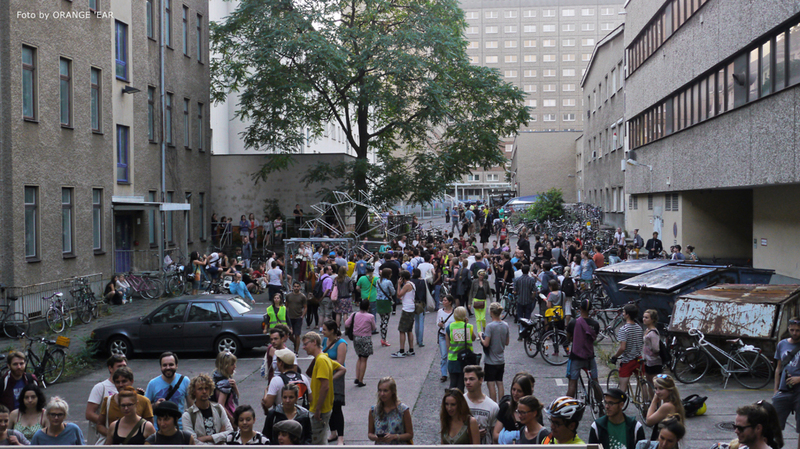 The police made us stop right away to check what was going on. 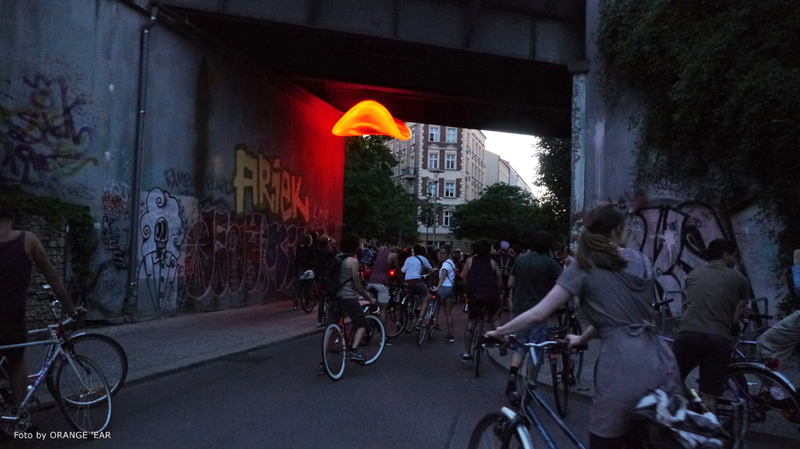 Short stop to admire hanging art under a bridge in Lichtenberg.